Dock Safety Solutions Aren’t Just for Loading Docks! Fall protection was a hot topic throughout 2017. Loading docks and other elevated work areas are the number one site for workplace-related accidents for the second year in a row according to Safety & Health Magazine. In the past year, the Occupational Safety and Health Administration (OSHA) has also made the decision to increase the protection that is required when working on loading docks. With new regulations and loading docks built in record time, it’s hard to look past the receiving area when looking for ways to beef up your fall protection. This article serves the purpose of examining the loading dock and other, often overlooked spaces that can benefit from the addition of gates, barriers, and other safety products. Using fall protection and barrier products as safety measures for in-plant protection can quickly create safe zones for protecting workers and infrastructure. Wrapping corners, blocking access to expensive machinery, and guarding electrical equipment are just a few of the ways US Netting has helped our clients make their facilities safe. Now that the rules have changed, we must also review what other solutions are available on the market and what competitors have done--or not done--to up their game when it comes to barrier technology. Because our products go in a wide variety of plant environments, US Netting puts its gates and nets through the paces of taking hits from all angles. We rammed, pulled, pushed, and smashed our products. These tests were conducted to ensure that our products will hold up to a plethora of conditions--not just the perfect circumstances our competitors test in--and that they meet our strict standards for strength and durability. We iterated on the components of each of our barriers to ensure that they outperform the competition when put to the test. Barrier strength is commonly shown as the amount of kinetic energy the product can absorb. 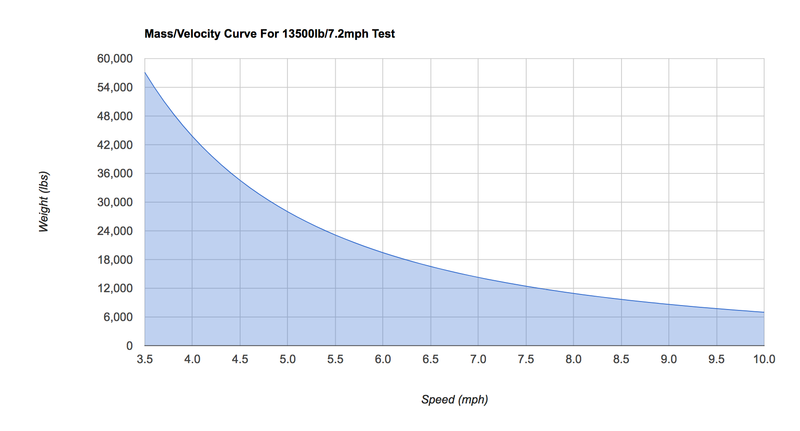 The energy calculations are shown on the graph (figure B)* (using joules) with intersecting points of vehicle weight and speed. 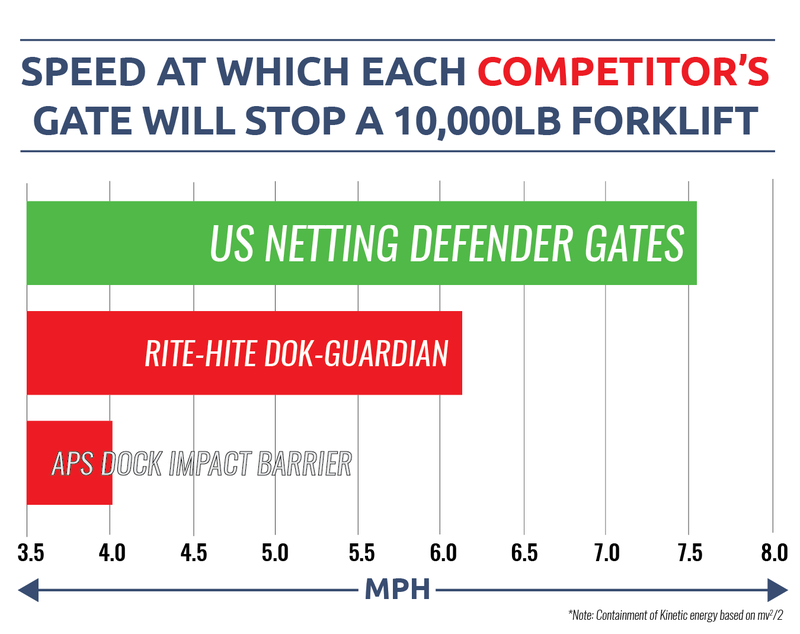 The goal of the graph is to convey the impact a gate can take while sustaining minimal damage. It is imperative to understand that any impact on a safety apparatus warrants an adequate inspection and review by a safety professional before putting it back on the job. The impact chart used by this manufacturer does not show you what would happen if all of that mass were to impact a single point of the system, for instance, a single bollard. In fact, live testing footage or results are rarely shown. How far the barrier allows the impacting object to continue its trajectory needs to also be considered. Failure to account for the elasticity can lead to damaged equipment, regardless of the barrier in place. We believe that the USA-made construction paired with our constant drive to improve and exceed standards allows us to keep advancing our products. 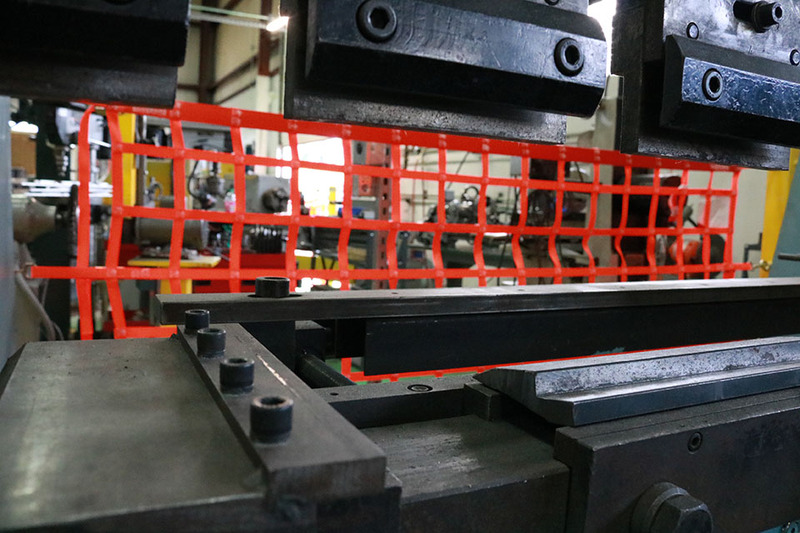 Our ability to custom fabricate allows us to solve almost any issue in regard to barrier protection. US Netting Dock Safety Solutions aren't just limited to use in the loading dock. These products provide an impenetrable barrier to warehouse applications in which access control is necessary. Popular practices for loading dock gates and nets include machine guarding, securing an opening, marking restricted areas, blocking access, and more. 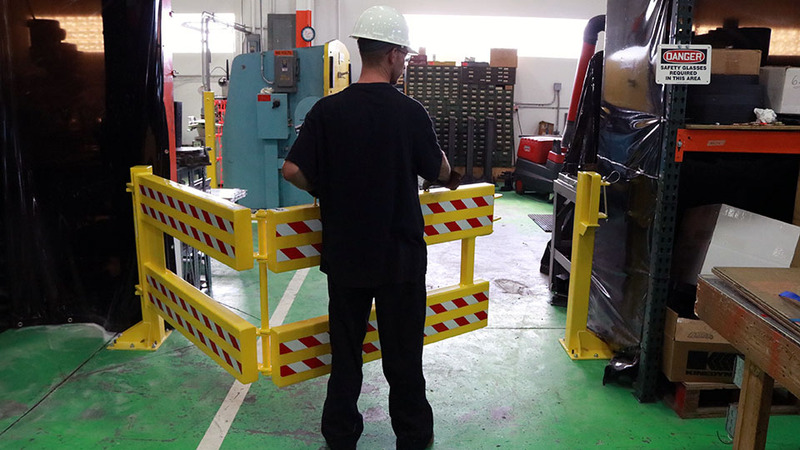 Often, machine or equipment guards are referred to as in-plant safety barriers. 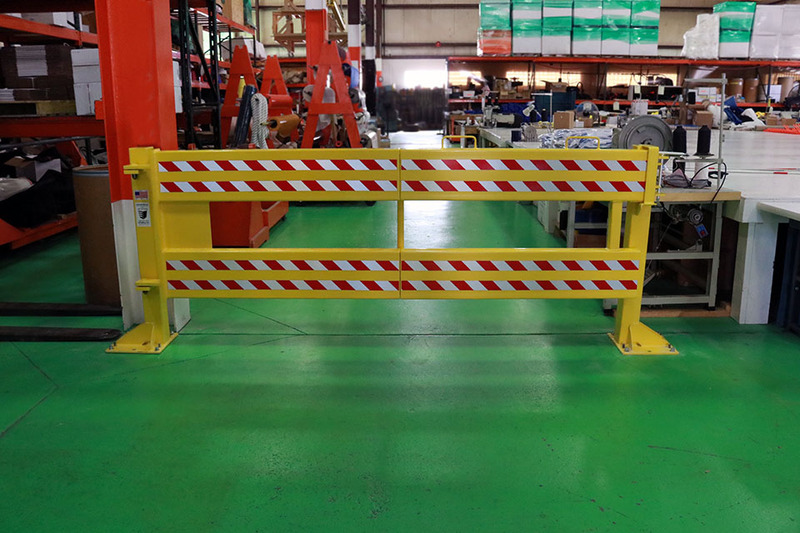 In-plant safety barriers provide a much-needed boost in protection from slips, falls, and accidental run-away fork trucks. Machine guarding is beneficial because it keeps personnel safe, which is a top priority in the workplace. Leaving equipment unguarded or restricted areas open can lead to injury to personnel and damage to the facility. When installed correctly, our products prevent accidents and safeguard from fines and lawsuits that may follow. Two qualities that assist US Netting safety solutions in mitigating these accidents are their ease of installation and their simple operation. Our products do not have any recoil; other products on the market do, posing a threat of injury to workers during normal operation. Our products exceed current market offerings in both stopping strength and durability. Toughness coupled with ease of operation and installation makes our products stand out. We provide robust safety solutions that integrate into workflows without impeding work areas and in some cases take up little to no space. Other common places that you will find US Netting safety solutions are on mezzanines and openings that are elevated above shop operation. For any employee high up on a platform with the imminent danger of a fall, a safety barrier, guardrail, gate, or net can be the key ingredient to avoiding injury or death. 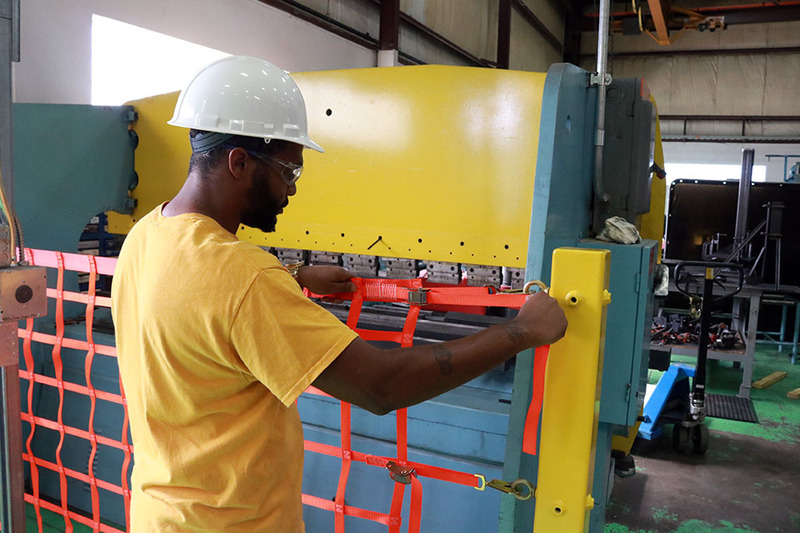 The US Netting lineup of safety equipment aims to push the envelope of in-plant safety by providing a large variety of safety equipment and custom fabricated solutions to make facilities and employees safer. If you have questions about what we can do to assist in making your specific application safer send us an email at [email protected] or feel free to call our experienced sales representatives at 1-800-331-2973.